As a user and owner of a gas stove, it is important to scheduling clean-up activities of the gas stove. 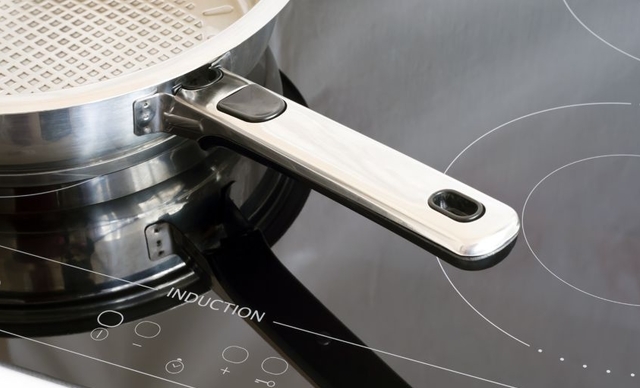 Moreover, if the gas stove that we use is gas-type induction cooker, spills cooked food at its surface would interfere appearance of the kitchen and our kitchen will look dirty and messy. Clean stove that we use is very important to maintain the cleanliness of food we cook so the leftovers do not stick and kept near the stove in addition to hygiene and prolong the lifetime of the gas stove. How to clean a gas stove if we want to do it ourselves? Follow these simple tips. It's important to ensure that the stove that we want to clean up was being switched off. If we just use the stove to cook, then turn off the heat and let the stove slowly lower the temperature until completely in normal temperature. We need to do this procedure to keep us out of danger while cleaning the stove. To clean the stove with anything ready to use in our kitchen, then use dishwashing soap. It would be better if the dish soap that we use is Sunlight Double Power for thorough deep cleaning the oil stains and grease attached to the stove. Why? It because the gel concentrates are able to clean grease and oil stains more numerous and effective. If our gas stoves is induction type, do not use too much water for clean it. Take a regular bowl and mix water to dissolve Sunlight and set aside. To clean a gas stove using Sunlight is actually very easy and anyone can do it if they already know how easy to clean by themselves. Before you start cleaning using sunlight, wipe the stove using a dry sponge so the crumbs leftovers will be eliminated. Then soak the sponge into a mix of water with Sunlight in a bowl and squeeze it until foamy. The sponge will clean up grease and fat from the entire gas stove until completely clean. Rinse the gas stove by soaking a dry sponge or a dry cloth in warm water and then clean the entire of the stove from soap. Dry the gas stove by wiping the entire stove with a soft dry cloth and then leave it for 1-2 hours until completely dry and voila! Your stove have been ready for use again. So what do you think? Very easy, isn't it?